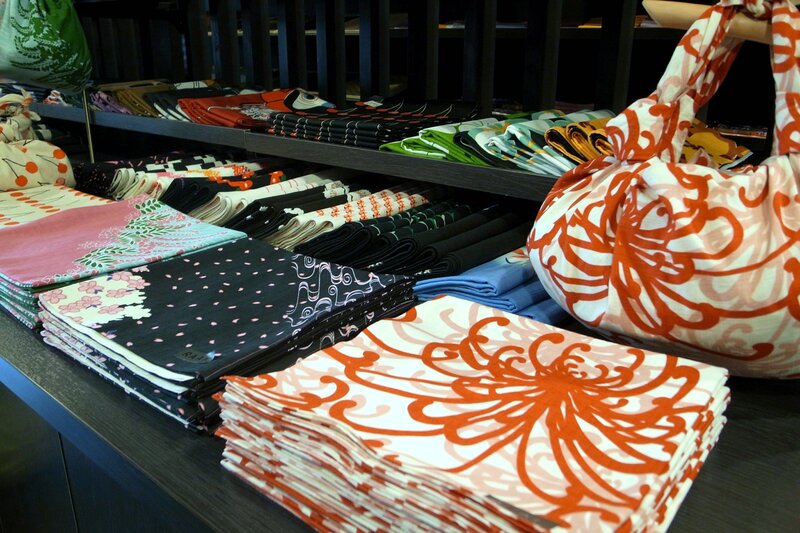 If you are the person who is a very familiar with Japanese culture, you might know Furoshiki（風呂敷）. Furoshiki（風呂敷） is one of the fashionable item in Japanese traditional things, it get popular among travelers from foreign countries. It is just a cloth around 45cm square, however, it can be used in various scenes and has a long history. The origin of Furoshiki（風呂敷） is around Heian（平安） period, actually Furoshiki（風呂敷） was called “Koromodsutsumi(古路毛都々美)” and it mainly wrap Kimono（着物） clothes. 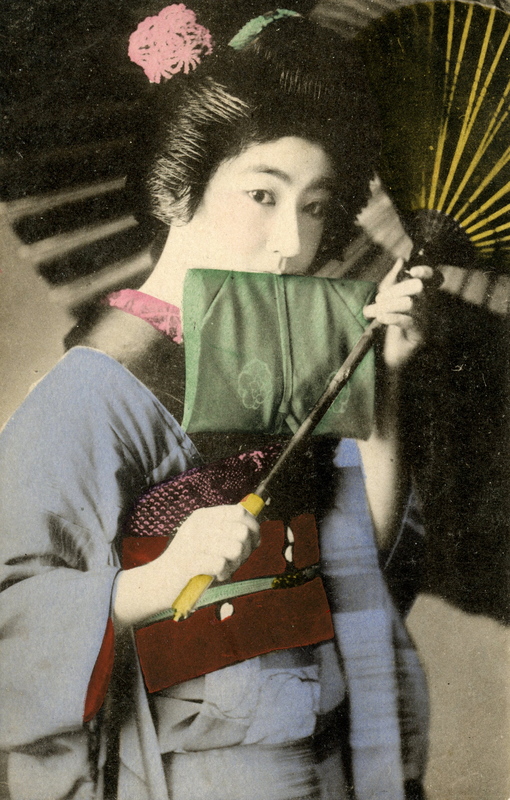 In subsequent years, the Koromodsutsumi（古路毛都々美) became to be used more like today’s Furoshiki(風呂敷). The name of Koromodsutsumi change to Furoshiki in Muromachi(室町) era, because people got use the Koromodsutsumi in the bathroom(It called Furo（風呂）in Japanese) to avoid mixing their clothes to others. The name of Furoshiki reflect this history. However, the name have not fixed to Furoshiki even in Edo(江戸) era, it got various usage in Japanese people life. Today’s various usage of Furoshiki came from the culture in Edo era. There are not only various Furoshiki but also many books which explain the way to use of it. 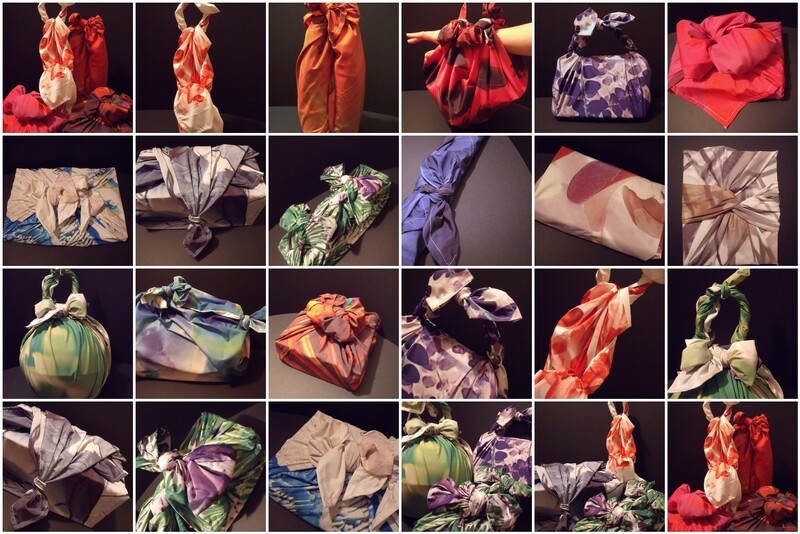 Furoshiki is used to wrap clothes, books, and wines. It is reasonable and fashionable item to get familiar with Japanese culture.